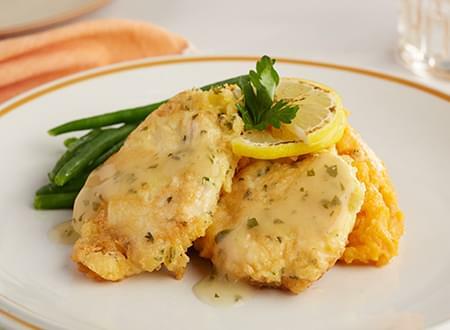 Boneless breast of chicken dipped in Gluten Free flour and egg, then sautéed and accompanied by a white wine lemon sauce, dressed with parsley. 4 oz. portion in 2 oz of sauce.